Past few years has been big for the digital-era. More and more people are entering the digital world. Though they are not aware about the security of their data and devices. Hackers can easily get their hands on your device and control it remotely. Norton by Symantec has been preventing such situations for years now. Today they announced launch of its new Norton Security solution in India, boosting its protection and performance levels for consumers. 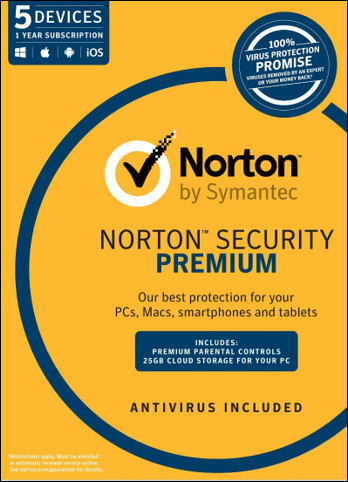 Why Antivirus and Why Norton? According to Symantec’s latest Internet Security Threat Report, Symantec discovered more than 430 million new unique pieces of malware in 2015, up 36 percent from the year before and in August 2016 alone, there were 45 million new malware variants, the highest level seen since August 2015. As one of the industry leading security solutions for consumers, Norton Security provides customers with our best security protection in one subscription service across multiple platforms, including Windows, Mac, Android and iOS. Norton by Symantec has the world’s largest civilian network of security experts who are constantly analyzing new threats and devising new ways to protect consumers and their devices. With the growing frequency of cyberattacks on all platforms, consumers need the comprehensive multi-platform protection offered by Norton Security. – Ritesh Chopra, Country Manager, India, Norton by Symantec. Norton Security uses advanced, multi-layered security technology to help protect devices, privacy and personal files such as music and financial information from today’s most dangerous emerging threats, including ransomware, malicious websites, zero days and phishing attacks. Zero-day vulnerabilities (which were up 125 percent in 2015), are holes in software applications that are unknown by the software vendor. Norton Security’s Proactive Exploit Prevention technology helps protect the holes in common software applications by recognizing a range of malicious behaviors that are trademarks of zero-day attacks. One of the benefits of this approach is that it provides protection against a wide variety of exploit attacks during the critical window when vulnerable software is deployed until the point that a software patch is installed – a process that can take weeks or months. In their attempts to bypass traditional security software, cybercriminals often hide their malicious code in innocuous-looking files. Norton Security’s newly developed emulation technology hunts down antivirus-evading malware before it can compromise a user’s system. It does this by unpacking and running the suspicious files in a virtual machine for examination before the malware in these files can compromise the user’s machine. With 83 percent of all malware currently employing anti-virus evading techniques, Norton Security’s newly developed emulation technology is an important advancement in protecting consumers. Traditional antivirus solutions often rely on signatures of known malware to protect consumers. Criminals know this, and as a result, develop automated ways to deliver variations of malware designed to evade the signatures. The Predictive Machine Learning Engine anticipates new and evolving malware variants. Using a machine learning algorithm, it develops statistical model that helps accurately detect and blocks both new and unknown malware. Mac users will see faster scans and lower overall memory utilization on their devices. The release of Norton Security will also include My Norton, a next generation web portal that completely changes the way customers interact with Norton. With My Norton, customers can access their Norton subscription features, manage their account and devices and learn about new threats from any device. It offers more engagement with customers with smarter alerts and messaging, and helps customers get the most of the Norton subscription (e.g., backup, parental controls, multi-device protection). Norton Security is available via in.norton.com and is offered as a flexible service to protect all devices. You can select fron Norton Security Standard, Deluxe or Premium which offer different number of protected devices. Norton Security starts at Rs.1,399 with periodic special offers. Indian consumers can pay using Credit Cards (domestic and international), Debit Cards (domestic and international) and Net Banking with over 40 national and regional banks.